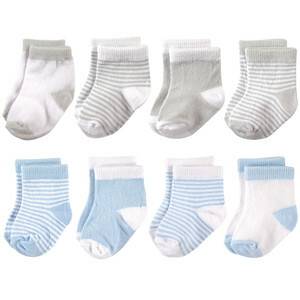 Hudson Baby 8 Pack Basic Crew Socks are the perfect basic and fun socks for your little one's outfits! These super soft cotton blend socks are made to stay on baby's foot, stretch and grow with baby & be super durable through wear & washing! These socks rise above the ankle to help stay on!